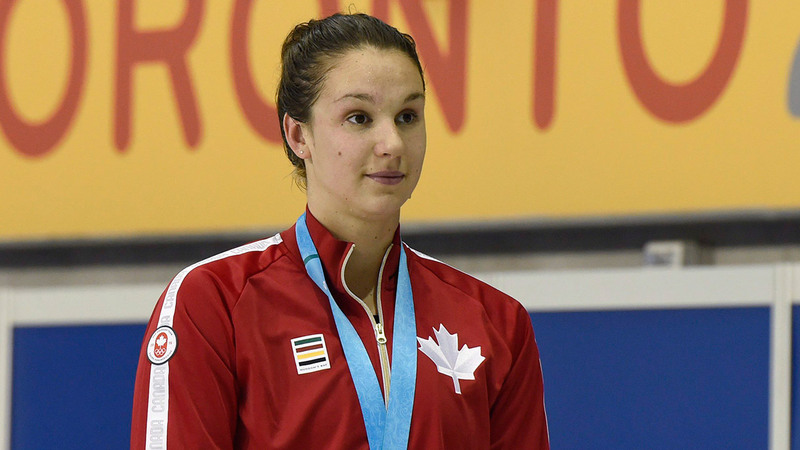 Chantal Van Landeghem began swimming at four years old, and never looked back. 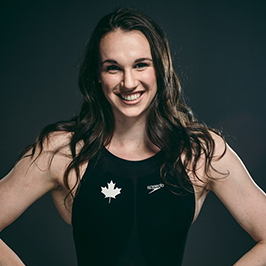 Chantal went to high school at Vincent Massey, and started competing at a national level in her teens as a Sports School athlete. At 18, she was on the brink of competing at the London 2012 Olympics, but very narrowly missed qualifying. 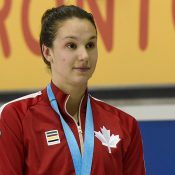 The next year, Chantal placed in the top 10 in three different events at the FINA World Championships, and has kept climbing since. 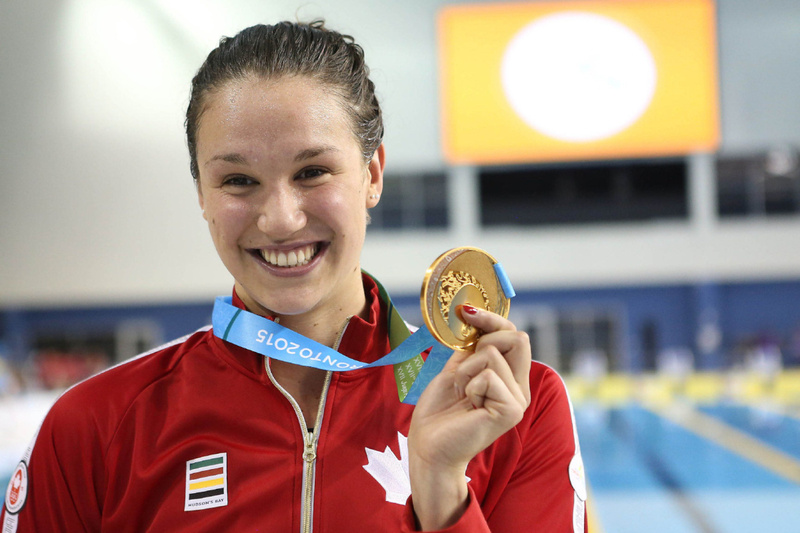 Today, though she is only in her early 20s, Chantal has made a name for herself on the international stage – most notably winning two gold medals on the opening night at the 2015 Pan Am Games in Toronto, an event she says has been the highlight of her career thus far. While she currently resides in Athens, GA, Chantal is Winnipeg born and raised. For as long as she can remember, she has loved being in the water, a passion which led her to move south of the border to continue competing while pursuing an education. Currently, Chantal keeps busy balancing training and studying psychology at the University of Georgia, where she will graduate in the spring of 2017. Being selected to the Rio 2016 team was redemption for Chantal, but she didn’t go to be a participant. 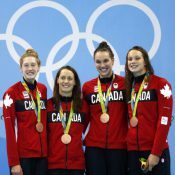 Chantal became part of history as she and her 4x100m freestyle relay team claimed bronze on the first night of the Olympics, winning Canada’s first medal of the games, and breaking a Canadian record in the heats and again in the final. 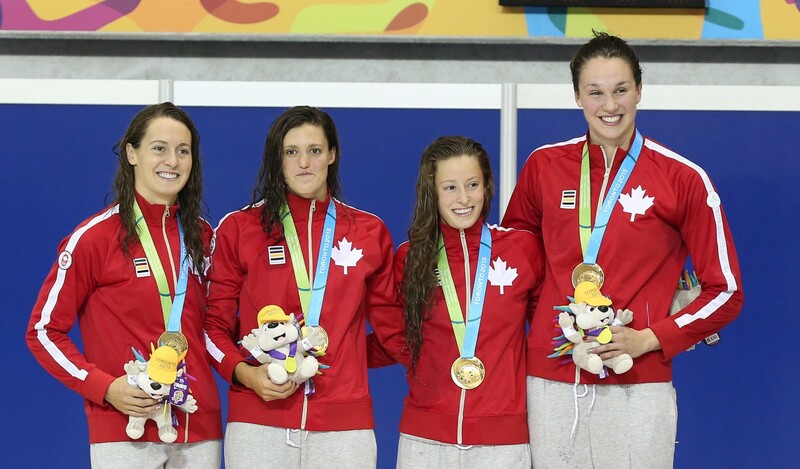 Her team’s bronze medal began what would be a banner year for Canadian female swimmers at the Olympics. 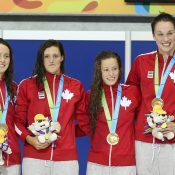 Chantal’s bronze medal was the first Olympic medal won by a Manitoban in swimming. What she loves most about swimming: The thrill of competition and the lifelong friendships she has made. THE RED & BLACK (Oct 7) Replacing seniors is a common concern for any college team coming off a national title. But it shouldn’t be for Georgia this time around. 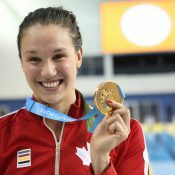 SWIM SWAM (Aug 26) Canadian Olympian Chantal van Landeghem will return to Athens to continue her NCAA career at the University of Georgia next fall. 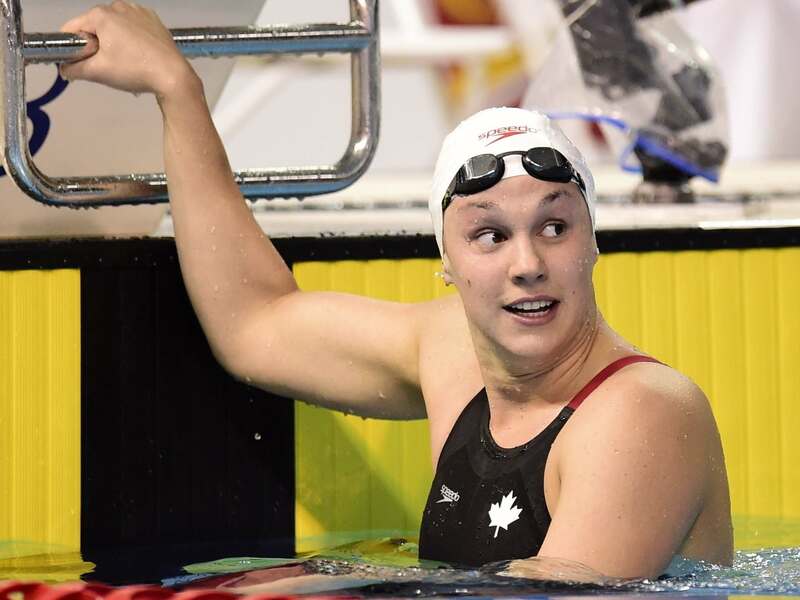 GLOBAL NEWS (Aug 12) Winnipeg swimmer Chantal Van Landeghem came up short in her women’s 50m freestyle medal bid at the 2016 Rio Olympics. 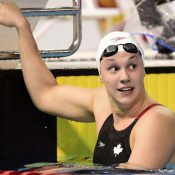 CBC MANITOBA (August 10) Chantal Van Landeghem, a swimmer who grew up in Winnipeg, will go on to compete in the 100-metre semifinals at the Summer Olympics in Rio. 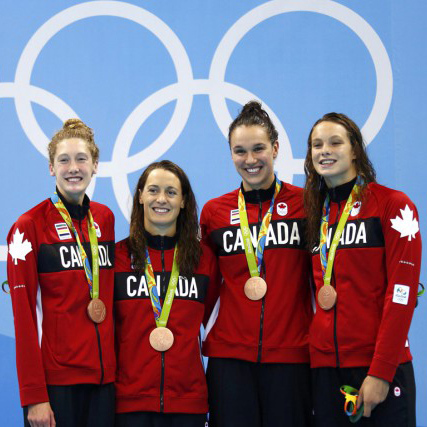 GLOBE AND MAIL (Aug 9) The Canadian women are winning all the medals at Rio Olympics.